Nerd Degree is a live comedy panel show that asks comedians to argue their way through science and pop culture to find out who is the wittiest nerd and the nerdiest wit. Join host Brendon Bennetts as he challenges Wellington's finest to earn their Nerd Degree. Nerd Degree is the brainchild of Christchurch writer, director and improv actor Brendon Bennetts who is also the host of the show, a project grown grew out of a desire to emulate panel shows like 7 Days and QI, but with a decidedly and delightfully nerdy slant. 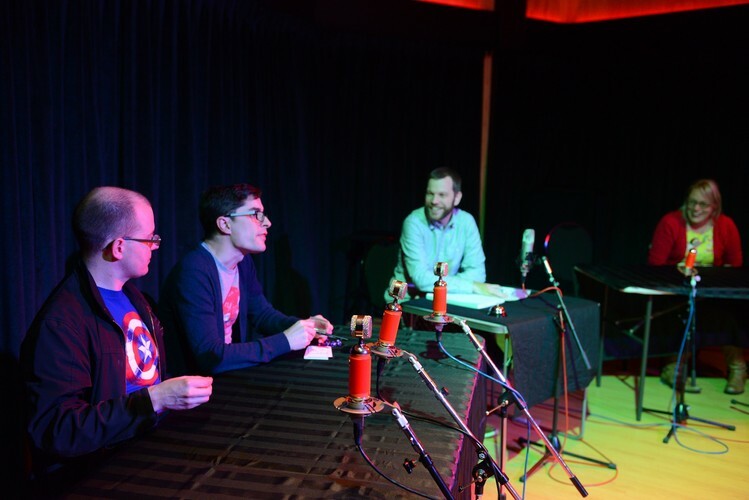 “What do you get if you cross the panel quiz show format with a handful of unabashed pop culture enthusiasts and record it in a studio in front of a nerdish audience? You get ‘The Nerd Degree’, a decidedly geeky, kiwi podcast that wears its nerd credentials on its sleeve (and that sleeve is not on a red “away team” shirt, thanks very much).